Mobility as well as speed was what the Army Generals wanted from their tanks at the end of the 1920's. The Stridsvagn fm/31 was a revolutionary prototype developed by the Swedish company Landsverk based on a German design. 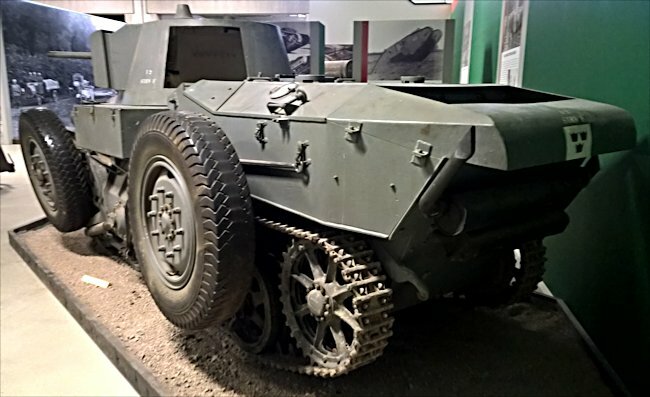 They called this tank the L-30 the m/31 tank without the additional road wheels was known in the factory as the L-10. The hull was manufactured from plain, not armoured, steel. The turret was a mock-up and made of wood. The gun is also a dummy. The tracks on the m/31 tank were brittle and often broke with continual road use. The designers hoped that a combination wheels and tracks would allow high road speeds and good cross country mobility. The letter F in front of the designation m/31 signified that this was a test vehicle. In trials it only took the tank crew 30 seconds to engage the large road wheels. The design was complex and vulnerable to mechanical failure. It was also expensive to produce compared with a standard tank. The fm/31 tank underwent trials during 1935 to 1936. With the development of better track technology and running gear the Strv fm/31 became obsolete. No orders were placed. The tank was not sold for scrap. It used by the Swedish Army as a driver training tank until 1940. The Swedish Strv fm/31 tank would have had a four man crew. It was designed to have been protected by armour plating that ranged from 8-24mm. It would have been armed with a 37mm Bofors cannon and two 6.5mm machine guns. The prototype was powered by a V12 Maybach DSO 8 petro engine that produced 150hp. The tank had a maximum road speed of 40 km/h. 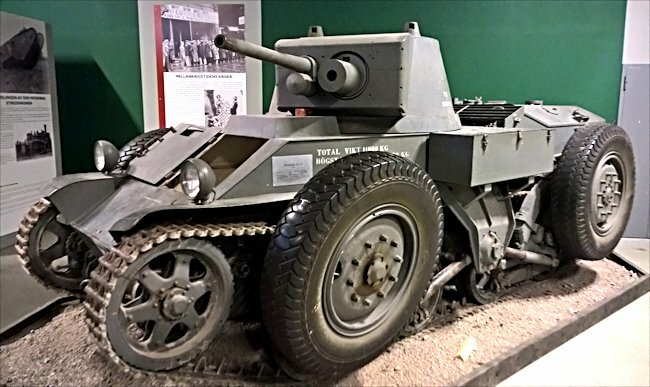 When the four road wheels were deployed it had a maximum road speed of 75 km/h which made it one of the fastest tanks in the world in 1932. It weighed 11,500 kg. 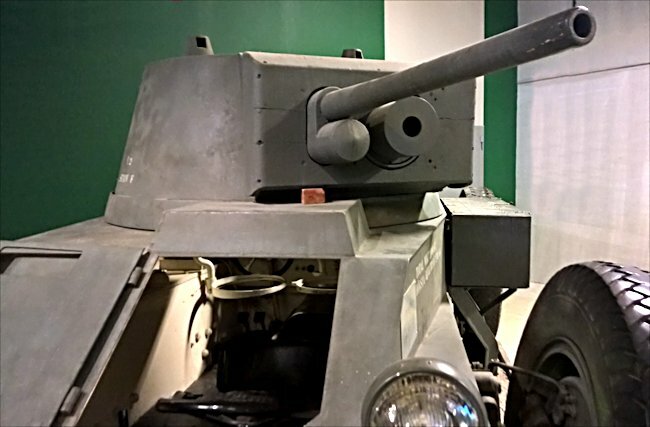 Only one Stridsvagn fm/31 tank was ever built. The photograph below was taken in the AB Lansverk factory and shows the fm/31 and the three m/31 tanks being built. One of the other reasons this fm/31 and the three m/31 tanks was rejected by the Swedish Army was its reliance on German mechanical parts. The Swedish military had already experienced problem getting spare parts for the ten WW1 German built LK-II m/21 tanks it had purchased in 1921. The next generation Swedish tank, the m/38 was built using Swedish components although the basic design was very similar to the m/31.